Fine Pearl Jewellery at SelecTraders: The colour of the tahitian jewellery is dark green and the overtone purple & peacock. 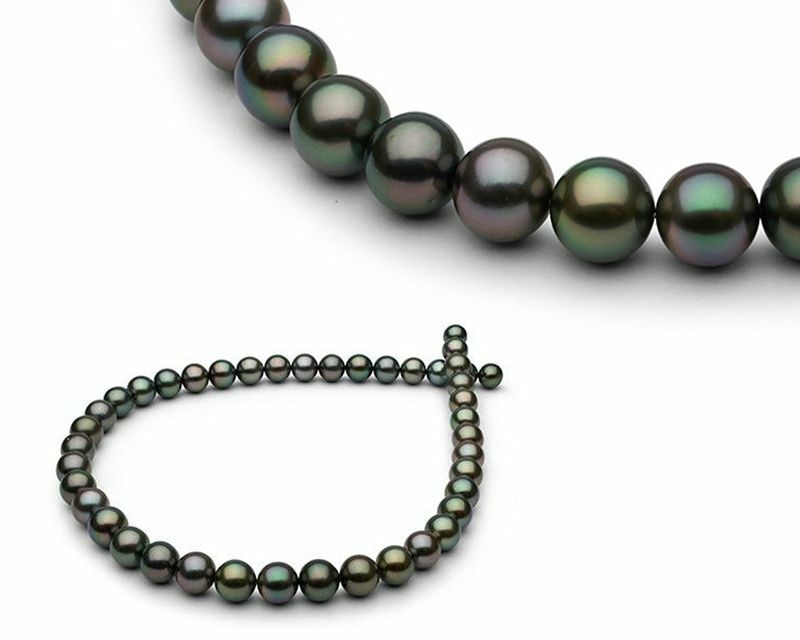 The impressive tahitian cultured pearl necklace has a length of 18 inch and a size of 8.20 - 10.90mm. All pearls have an very high luster and are round in shape. For more information about fine pearl jewellery please have a look at our website. Here you will find a wide selection of classic black and multicoloured tahitian pearls. You find current offers in our category tahitian pearls. 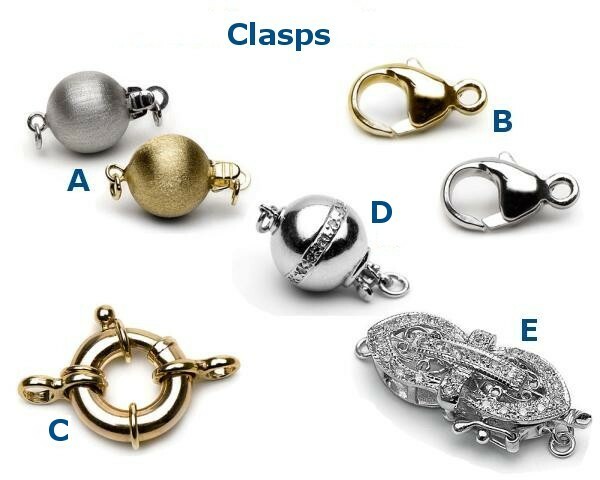 The completed strand will be finished with your choice of 14k white or yellow gold clasp (see picture). Delivery time for this custom-made item is about 1 week. All details are shown below the pictures. Selectraders customers receive a pearl certificate, customised for the individual piece of fine pearl jewellery. It describes all features of your pearl jewellery. We specify in detail: type of pearls, quality, shape, size, colour (for example dark grey) and shades, as well as diamonds and precious metal used. Each customer will receive all necessary information about the chosen piece of fine pearl jewellery. Therefore, Selectraders customers become pearl lovers and pearl experts. Many vendors specialise in pearl jewellery of lower quality and price - easily identified, since these pearls show irregular shapes and imperfect surfaces. Selectraders emphasizes on offering nearly perfect, immaculate pearls. These fine pearls are hard to find - only 1-5% of one entire harvest meet the standards required. Our customers acquire top quality at unbeatable prices. Unlike the common jewellery trade, we source our pearls from our own pearl farm and purchase excellent quality from other pearl farmers directly. Therefore, we eliminate intermediary trade, which enables our customers to save 300% or even 500%. Selectraders customers benefit from these price differences. Since our customers are satisfied with their purchase, 30 % of them recommend Selectraders to friends and family. Happy customers are our best advertisement.